One of the first lessons I was taught when I started studying mindfulness was that to truly find peace in our lives we must nurture the seeds of kindness that rest in our hearts. In the years since and through my teachings, I’ve found that kindness is the foundation stone upon which all spiritual progress is built. An act of simple kindness can, in fact, be a perfect action, because it is complete in and of itself. If you expect something in return for your kindness then it truly isn’t kindness, it’s more of an investment. Authentic kindness is never conditional. The seeds of kindness are within us all, but it’s up to us to practice, to nurture them. It’s in our nature to be kind beings, but we often practice things that overshadow it like impatience, anger, frustration and doubt. We practice negative things that will grow like weeds the more we put our energy into them, yet in that garden kindness still exists. Don’t believe me? Then ask yourself, what would most people do if a little bird flew into their house? They’d let it out, right? Opening a window to release the trapped bird may seem like a logical, small thing to do, yet this is a true act of kindness. The action is exactly what is required by the bird in that precise moment of time. Nothing needs to be added to it, and nothing taken from it. We don’t expect the bird to do anything more than to go on with its life. That's Kindness. By becoming aware of this and practicing kindness in the small things of life, we find that it becomes increasingly natural to practice kindness in what we may think of as the big things. If we have no problem sharing an unconditional act of kindness with the bird why do we find it so difficult to be kind to other people? And why do we always expect something in return? Kindness should be simple, just be kind. 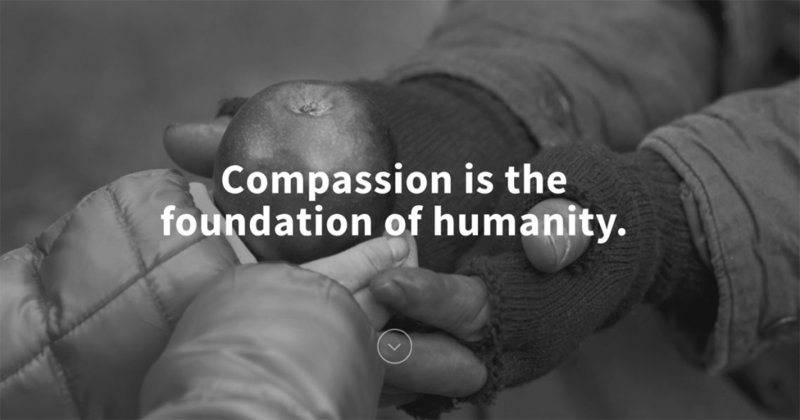 It’s up to us to remove our need to place conditions on our kindness and just be kind. If that kindness is returned, that’s great, if it’s not then why worry? You’re working on yourself by practicing kindness, nothing is required in return. Just be kind and watch that seed grow. What we practice grows stronger. 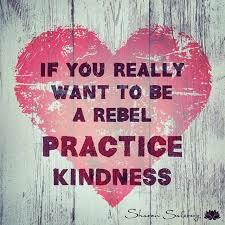 Today I choose to practice kindness. Sometimes it seems that we can never do enough to prove to ourselves that we are worthy of peace, happiness and love. Even though we may excel in one area of our lives and do amazing things, we find fault with ourselves in other areas. We may wake up in the morning feeling feel proud of the previous day but then later,after a difficult day, feel ashamed of a mistake we made. We may feel important around one group of people and insignificant around another. There are millions of ways to measure our self worth, unfortunately we often rate ourselves based on where we are, who we are with, and our mood at the moment. One way around all the ups and downs of self esteem is to just be...to just let yourself be...and when you do...you connect with perfection. 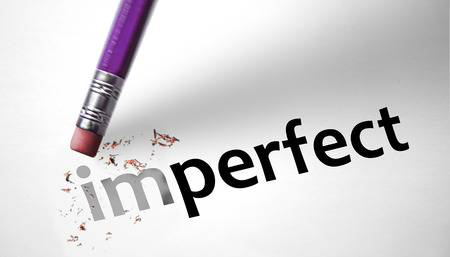 Perfection in and of itself seems challenging, but only because our concept of perfection is based on judgment and expectations. We think if we make a mistake then we aren’t perfect, if we aren’t happy then we aren’t perfect, if the sun isn’t shining then it’s not perfect...well, who decided those rules? The reality is that a perfect life isn’t always sunshine and lollipops. Perfection comes from the lessons we learn and the mistakes that we make. A perfect garden comes from rain, cold, wind, and all the “imperfect” days which allow it to grow. The weather may not be “perfect” but the garden is. We get caught up in our mind, that monkey mind that makes us feel guilty, ashamed, sad, scared, bored, or angry and we think perfection is nowhere near. We may make a mistake, show our ignorance, hurt somebody we love, or be hurt by somebody we love and we feel all messed up and far from perfect. That’s why it’s important to set aside a few minutes a day to remember perfection is right there in front of us. We just need to reconnect with that place of perfection inside, that inner truth. We need to remind ourselves that if we take a pause, the present moment, in and if itself, is perfect. When we meditate we reconnect with the perfection that comes from just being present. You may not sit perfectly straight, you may even fall asleep, you may think some crazy thoughts and feel difficult emotions, but as you sit there and practice meditation, you discover the moment is perfect. Breathing in, breathing out, perfect. You are everything that you can be in the moment. When you have sat perfectly for enough time, you feel refreshed and renewed, then you get up go about your day and after a while you’ll forget about how perfect you are, going about the busy day and get lost again in your judgments. Over time, when you get used to sitting and experiencing a few moments of perfection here and there, you realize those moments carry you through the ups and downs of the rest of the day. As you continue to practice you realize that you’re not as horrible as you think you are, you just allowed yourself to get caught up in the monkey mind and have lost touch with the perfection that comes from simply being. Then you remember to sit still for a few minutes, breathe in, breathe out and there it is, perfection. Perfection in the Moment! The only moment that matters! What if instead of being okay we were real? The greatest obstacle to really being okay is this misconception that it's okay to just be okay. We would rather just pretend everything is okay and if we do then, everything will be okay....okay is the new norm. We'd rather just pretend things are okay, even when they aren't. This way of thinking pushes us to dismiss reality...not allowing us to really reflect on how we are right now. We just shrug and say, "I'm okay." We get complacent and content with just allowing ourselves to be okay. Well, wouldn't it be refreshing if, instead of muddling through life being OKAY, we lived our life as we are. What if we were authentic, honest, and true to ourselves. What if instead of being okay we were REAL? ​We get so used to pretending that we are okay, we forget to reflect on how we really are. We ignore our true feelings thinking if we aren't okay then there's something wrong with us. When we aren't okay then we think we are doing something wrong. By focusing on what is wrong, we are reinforcing the idea that we are in some way broken and incapable of experiencing fulfillment now. We assume that not being okay is wrong. By focusing on and trying to push away the bad stuff or change it into better stuff, we are forever judging this moment as not good enough, as not okay and therefore postponing our happiness. We have trained ourselves to believe that whenever there is judgement or negativity then everything is wrong...we must be broken. Then we focus on finding things that will "fix" us. Once we start focusing on the fixes then we endlessly discover more things to fix. When do we ever reach the point we can truly say "Okay, I'm perfect... now I can be peaceful?"... It won't happen. Focusing on the wrongs and chasing the fixes will never bring peace. Finding inner peace involves accepting the who, where, what and why of this very moment. Contrary to what some may tell you, being truly okay and at peace is not found through self-improvement, it comes from self-acceptance. We are lead to believe that being sad is not okay; that being angry is wrong. Where did these ideas come from? Who says so? It's natural to feel emotions, it is healthy to be sad at a loss, or angry when wronged. When we learn to respect and reflect on our emotions we find peace. It isn't the sadness that robs you of your peace...it is the little commentator in your head that says being sad is wrong. Guess what, the commentator is wrong! The amazing thing is that you can experience sadness and anger while still being completely at peace...accepting that these things are part of our life. Instead of judging our feelings we accept them, honor them, live them...we resolve them. Judgment is more the thief of peace than sadness or fear ever will be. Life comes with good and bad, we have to experience life and all it brings us, accepting life as it is the key to inner peace...accepting the happy and the sad; the good and the bad is what makes life worth living. Being constantly okay is not living, it's not reality. Peace is experienced when we allow everything to be as it is without resistance, when we learn to embrace every experience, the good and the bad. Of course, life will bring us heartache and loss, it's a natural part of life. When we are at peace we can accept our sadness, our grief and our anger instead of fighting it. We can find ways to move forward, to change, to learn and grow...that's living. Say you are feeling down for example. First you are aware of the feeling and then comes the commentary "This is bad", "Will I never be free of this", "Everybody seems to be OK except me", "What on earth is wrong with me" and so forth. The feeling in itself isn't that bad, it's the 'story' around the feeling that robs us of our peace. It's that monkey mind that brings anxiety. Finding inner peace is not about changing our thoughts, feelings or emotions (that would be an endless task), but rather about changing our relationship with the mind. What we understand, we become free of. Through understanding how suffering is created, we learn how to change it, we break free from the shackles of suffering. When we understand suffering it loses its control over us. When we accept what is, we stop putting our energy into resisting the reality of it. We stop making a problem more powerful than it is. Instead, when we accept how things are then we can put our energy into moving forward rather than resistance. Here's the thing...it just is...whether we like it or not it is. Now, accepting what is doesn’t mean to give up. It just means that you put yourself in a better position to take action, if necessary. Because now you can see more clearly, you can focus your energy towards what you want and take the appropriate action to change your situation. By accepting what is it is much easier to let go of things and to forgive what has happened. Forgiveness is important because as long as you don’t forgive someone you are linked to that person. Your thoughts will return to the person who wronged you and what s/he did over and over again. When you forgive you do not only release the other person, you set yourself free, free from the suffering. Forgiveness of ourselves and forgiveness of others combined with the acceptance of this moment in life will bring peace. "I'm better than okay, I'm at peace, I'm real." After a session focused on self love I had a client tell me it seemed selfish to focus so much on herself. The truth is that only when we are truly aligned with our own beautiful and unique spirit, can we completely and authentically give and receive real love. This is because when we love ourselves we know that we can give without becoming resentful, exhausted and depleted, and we can receive because we know we deserve it. Self-love is the prerequisite for complete immersion in the abundant flow of light and love in the world around us. Do you even love yourself? Isn't it time to start? We never lose the people we love, even in death. They continue to participate in every act, every thought, and every decision we make. Their love will always be imprinted in our memories and carried in our hearts. We find comfort in knowing that our lives have been enriched by having shared their love. We will see them in the sunrise and touch them in the sand between our toes. We will hear them in the music and smell them in the air after the rain. 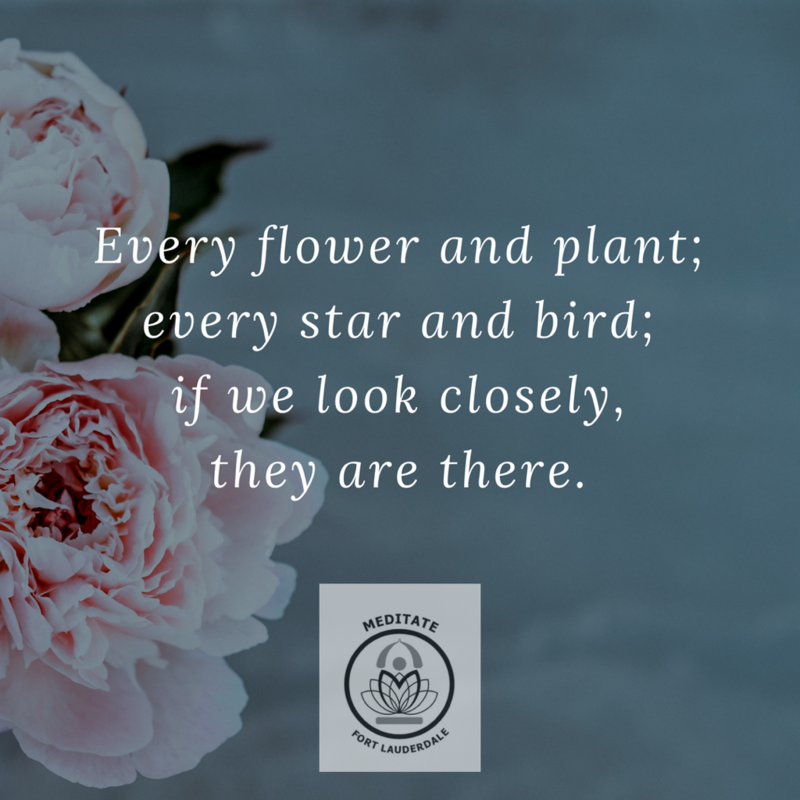 Every flower and plant; every star and bird; if we look closely, they are there. This is how we carry their love, this is how they live on...forever. 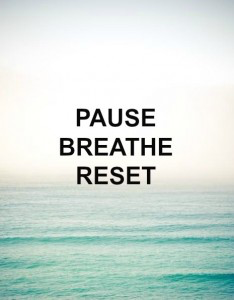 What would it look like if we all paused for just one breath? What if you paused before that snarky comment came out of your mouth; before you mindlessly cut someone off in traffic; before you sent that email? Mindfulness teaches that when we pause we make better and more loving decisions. Our current culture, teaches us that grasping and trying leads to better decisions. There is always a new pill, a new diet, a new top 5 list, to take us out of the moment. It makes us feel like if we just read more, try harder, and go more quickly we will get to wherever it is we are trying to be. Yet, when we pause and take a breath, we let go of the trying and open up to the being. In being (not doing) we make better decisions. We resist pausing because it can be uncomfortable. The thrill of something new and shiny, whether it is something indulgently distracting or a new strategy, sends a blast of energy throughout the body. We get excited, inspired, and feel ready to take it all on. Unfortunately, like anything else, this is transient. And we wind up living in a perpetual state of grasping for something that feels just out of reach. As you leave home for the day. Before you respond to someone. ​Before you order your food. Before you tell yourself something isn’t or is true. ​When you come home from the day. Let the pause bring you the insight you have been searching for. When we see the way things really are, we see that we’re all in this together, that we are all interdependent. A great surpassing love arises from that wisdom, and that love leads us to wish that all beings would open to this wisdom and be free of the misery that arises from ignoring the way things are. 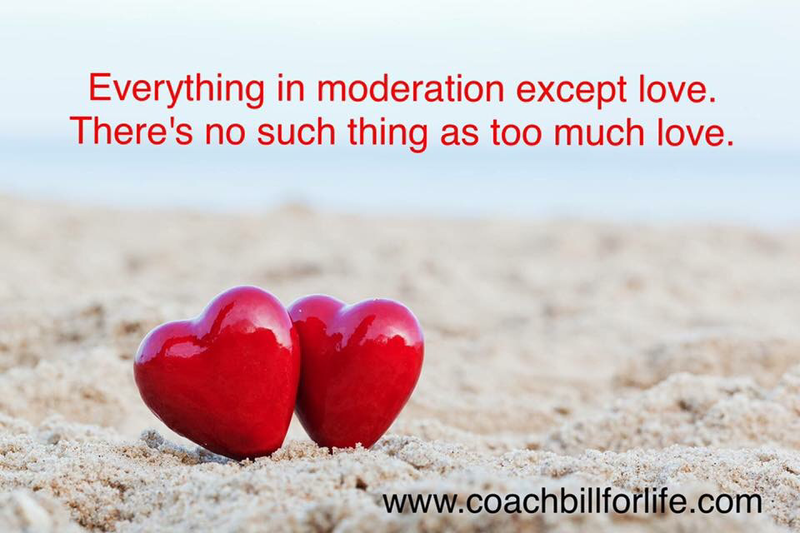 Did you live a life filled with love? Did you love with all your heart? 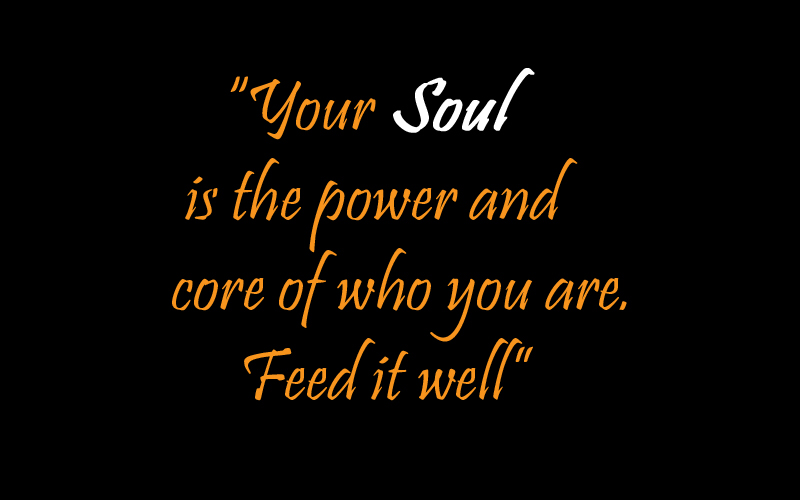 What’re you feeding your spirit? Look at your electronic connection and ask yourself if what you’re taking in is positive, compassionate, and loving? We must remember the information we take in is like food for our soul. To our spirit this information is either nurturing or toxic. Everything we take in through our eyes, ears, nose and bodies either effects us positively or negatively. We don’t just consume food, we consume information and that information feeds our spirit. It either lifts us up or brings us down. So ask yourself, is what you are consuming toxic? How much of the day do fill yourself with negative messaging? Stories about this politician or that celebrity; Entertainment that mocks or demeans others, shows violence, or causes harm; political stories that focus on our differences...all of these things are toxic. Taken in small bits they can be entertaining but if we keep ingesting this stuff it makes us cynical. Our over-connectedness, on the surface seems to make us feel better but if its at the expense of others, it’s toxic. On the surface watching reality shows that mock people’s lives or shows of people struggling may seem to make us feel better about our own lives, but deep down they are actually feeding our own insecurities and add darkness to our light. So, ask yourself, are you feeding yourself Toxic or Healing information? Is it junk food or SOUL food? Being an optimist is a practice. In this day and age it seems to take A LOT of practice. But optimistic people aren't just walking around whistling and smelling every rose. Optimistic people work on generating well being for themselves and for the people around them. It takes practice to look on the bright side rather than getting stuck in the muck of every bad situation. It's a practice and it's a choice. Think about this; every morning when you wake up you have a choice. You either open your eyes and see a new day filled with fresh opportunities, possibilities and connections or you open your eyes and start thinking about all the things you need to muscle through to get to the other side. It's a choice...optimists choose the positive outlook. Granted, there are some people who are born optimists, but it still takes practice. Being optimistic has more to do with that practice and outlook than on any inherent trait. Now, being an optimist doesn't mean you have to see everything through rose colored glasses and it definitely doesn't mean you're leading a charmed life. It's just that optimists are more reflective. It also doesn't mean optimists are uninformed, it just means they focus on the positive as much as possible. Faced with the daily ups and down of life, it's easier to be a pessimist. It's impossible to go through life avoiding pain, suffering, mistakes, and disappointments. The difference is, a pessimist will take those things and amplify them, carrying them into the next day, week, month, or building a chip o their shoulders they carry through a lifetime. Pessimists will complain and use the negative things in life as an excuse for their inaction and conformity to the same old negative routine. Optimists take those challenges and see them as lessons, as opportunities to learn, grow, and even teach. So, let's make that habit number 1. HABIT 1: Seeing Opportunities where others see failure. Winston Churchill said "Success is stumbling from failure to failure with no loss of enthusiasm". Optimists don't focus so much on the failure, they focus on the lesson. Of course, some lessons cut deep, but it's about picking yourself up and moving forward. Lessons learned, mistakes corrected, and new ideas are the things success are built from. The truth is that failure only occurs when you stop trying. It's easy to be grateful for the big things in life, optimists are grateful for the little things as well. Pessimists go through life focused on what's missing, sitting back green with envy about the things others have and they don't. Optimists however focus on what they have and look at everything as a gift. True optimists wake up each day and see the day is a gift that wasn't promised. ​Grant me the serenity to accept the things I cannot change, the courage to change the things I can, and the wisdom to know the difference. Sure, we'd all love everyone to drive the way we want them to, we all want people to act the way we want them to, and we all want every day to be bright and sunny, but life doesn't work that way. We have to accept that good comes from bad, happy comes from sad, and the light is only noticed because of the darkness. At the root of it all optimists are more accepting of themselves and understand everyone has their struggles. Complacency is the enemy of optimism. Optimists are constantly looking for better ways, new directions, and fresh opportunities. Optimists set themselves in motion rather than waiting for the wave to come in. Most importantly, when it comes to motivated optimists, they are motivated from the inside...driven by their own desire to keep moving forward rather than someone else's. Optimists thrive in being there for others. When others are successful they don't look on with jealousy they feel good for that person. Optimists ask questions and show interest in the lives of people they know. Optimists like to share, teach, reach out, offer a helping hand, and give of their time when they can. Optimists know they can't do it all themselves and being part of the community makes a HUGE difference in life. Optimists admit to their mistakes and avoid blaming others, they are confident enough in themselves to accept that they aren’t always right. This attitude makes them stronger because they know that recognizing their mistakes is a step closer to being better. Blame is a habit of the weak and passing blame says more about you than the person or event you are blaming. Optimists know, when it comes to their life they are in charge, the buck stops HERE. Optimists know it takes practice and focus to stay positive. To stay balanced in this positivity takes focus and determination and they develop routines that keep them pointed in the right direction: meditation, yoga, exercise, spending time in nature, listening to music, etc. Sometimes it means disconnecting from all the negative messaging we are surrounded with and just sitting in peaceful reflection, connecting with the things we enjoy the most. That Glass is Half Full and You Know It. "People who are optimistic are more committed to their goals, are more successful in achieving their goals, are more satisfied with their lives, and have better mental and physical health when compared to more pessimistic people," says Suzanne Segerstrom, PhD, a professor of psychology at the University of Kentucky. Research shows that people tend to be optimistic by nature, but what if you're naturally more of an Eeyore? The trick is to act like an optimistic person. By being engaged and persistent, even if you don't feel particularly positive, the benefits of optimism—like satisfaction and health—will soon follow. In fact, seeing the proverbial glass as half full can pay off in a number of unexpected ways, from improving your work experience to enhancing your relationships, to protecting your mind and body.